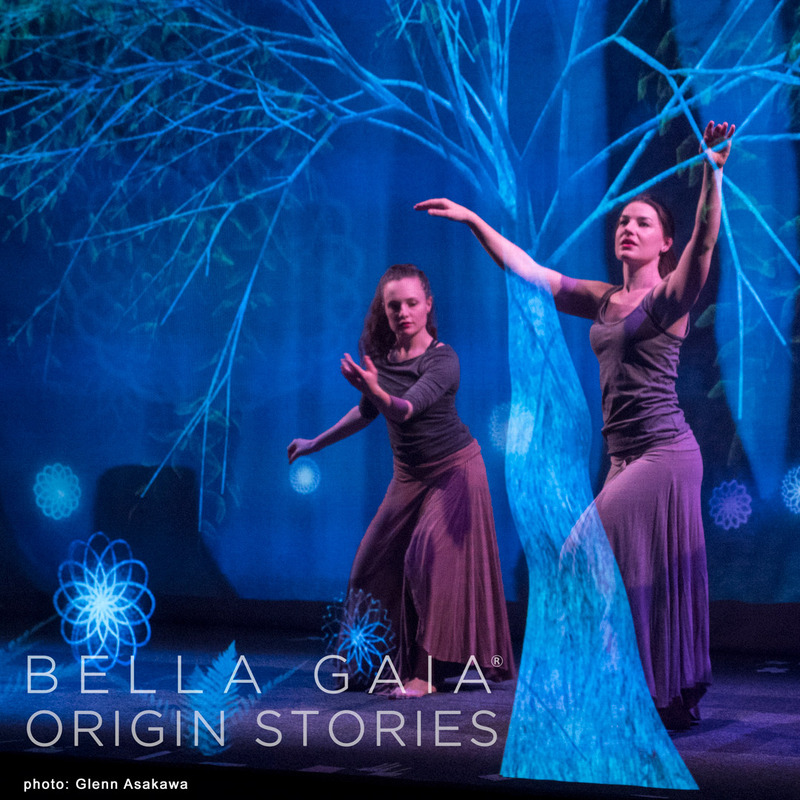 Origin Stories is a live theater performance that brings to life Rumi's poetry in 3D augmented reality with holographic animated objects and characters interacting with live dancers. 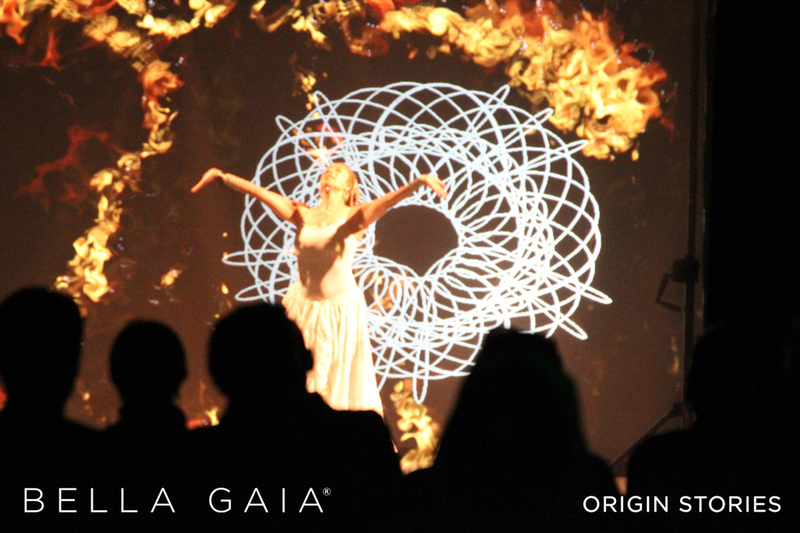 4 dancers commune with natural elements of fire and geometry, only to forget this connection resulting in the abuse of fire. 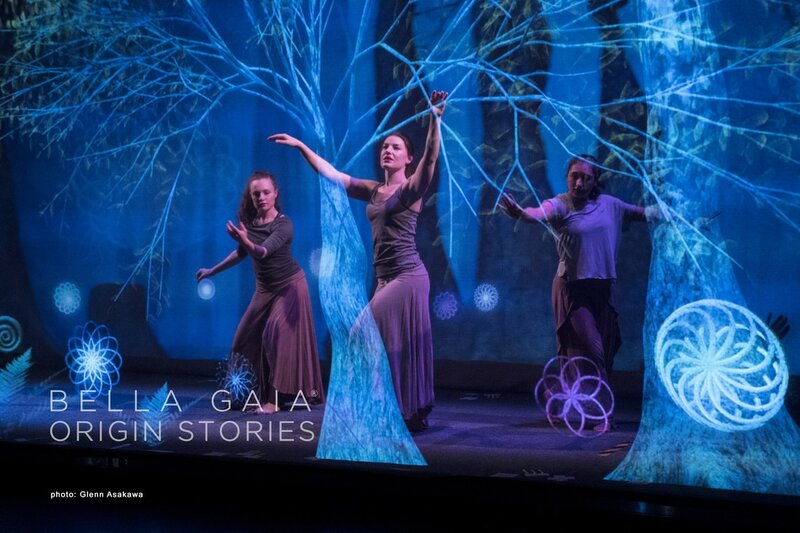 Directed by Kenji Williams, and choreography and assistant art direction by Irina Akulenko, Origin Stories utilizes 3D projection effects, 3D animated characters by Tobias Gremmler, and morphing sets, live motion tracking, and custom programmed visual algorithms. 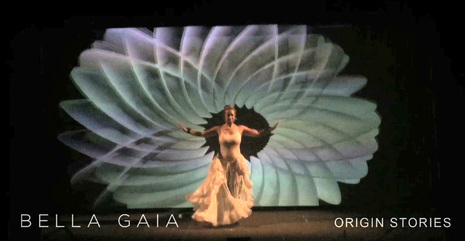 As an R&D production of BELLA GAIA, Origin Stories is a result of an artist residency by Kenji Williams, invited by the dean of Arts and Sciences at the University of Colorado Boulder. 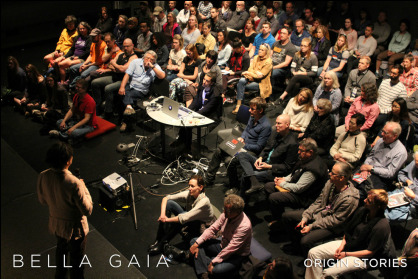 The final production was premiered in front of a live audience at the Conference on World Affairs at CU Boulder, at the Black Box Theater, Atlas Institute. Note: this video has absolutely no post production effects, and is exactly what the audience sees live without any equipment. 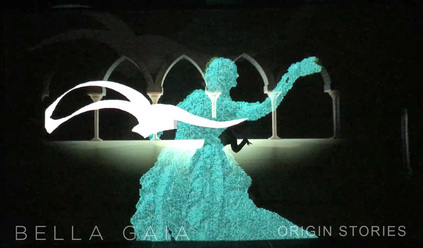 3D effect was produced without the use of 3D glasses, utilizing multiscreen, scrim, and lighting effects live.